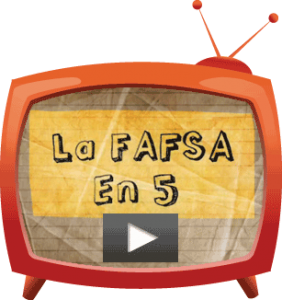 Get Ready, Get Set, FAFSA! Oct. 1 is quickly approaching, and we all know what happens then, right? The 2019-2020 Free Application for Federal Student AID (FAFSA) opens! Take these steps now to prepare. Create your FSA ID. 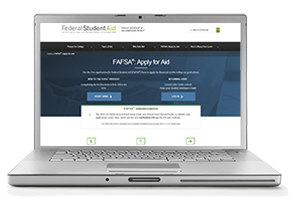 The Federal Student Aid ID is a username and password used to electronically sign your FAFSA and complete other important financial aid paperwork. The student and one parent will each need their own FSA ID. Be sure to keep track of the username and password you create. You’ll use your FSA ID for years to come, so be sure to use a personal email account when creating your FSA ID. You may not always have access to your school issued email account in the future. Gather your tax information. The 2019-2020 FAFSA will request 2017 tax information. Take the time now to locate 2017 income and tax information for both the student and parent(s). The IRS Data Retrieval Tool will be available for students and parents to transfer tax information directly from the IRS into the FAFSA. However, it will still be important to have your tax documents with you when you complete the FAFSA. Think about where you’re headed. You’ll have the opportunity to send your FAFSA to up to 10 schools you’re considering attending. Keep in mind you can log back into your FAFSA to add and remove schools if your plans change. Check out org to learn more about schools that would be a good fit for you and your goals. Ask questions. If you have special circumstances that you believe impact your ability to complete the FAFSA, ask for guidance now! Ask us by clicking on “Email Us Your FAFSA Question!” on the right side of this page. You can also contact your high school counselor or the financial aid office at your college to discuss your situation. 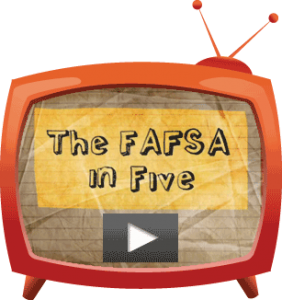 Completing the FAFSA is an important step toward funding your education after high school. Be sure to complete the application as soon as possible after Oct. 1!